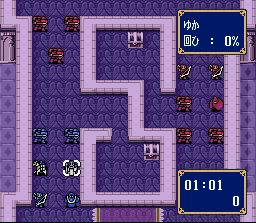 BS Fire Emblem: Archanean Chronicles were four short standalone games that could be downloaded for the Satellaview add-on for the Super Famicom (SNES). The games were originally broadcast from September to October 1997 and were rebroadcast some time during 1999. As the name suggests, the games take place on the continent of Archanea–in fact some time before the beginning of Shadow Dragon. Each game comprises of just one map, similar to the Trial Maps in later titles. The aim of each map is to gain as many points as possible before time runs out. Points are rewarded for fighting enemies, opening chests, visiting villages and etc. In each game, you control a different main character (sometimes two). That character acts as the item storage and if they die, the map resets. 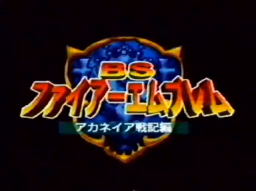 The Mystery of the Emblem engine is used for this game, although there are no battle animations. The majority of the dialogue was originally voice-acted and streamed so, when playing on an emulator, there will only be dialogue for boss taunts, death quotes and visiting villages. The cutscene graphics and background music were similarly streamed and thus absent on emulators. The Archanean Chronicleswere later remade as bonus levels in Heroes of Light and Shadowfor the Nintendo DS. The maps and dialogue are generally the same, but there are no cutscene graphics or voiced dialogue. The growth rates for returning characters are identical to their original growth rates, and the growth rates for unique characters are listed below. 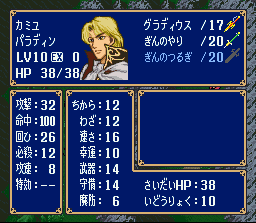 Note that certain events, such as the appearance of reinforcements or the increase of player critical rates, are tied to the SNES clock. Due to the obscurity of the games, not all time-based events have been listed on this page. 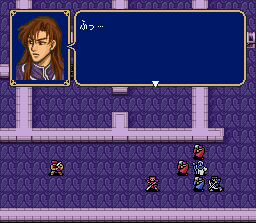 The Dolhrian army, led by Shadow Dragon Medeus, has invaded Archanea’s palace. In this episode you take control of Princess Nyna, and her loyal soldiers, as they try to flee from the palace. Blocking their path are Dolhr’s soldiers who won’t budge without a fight. North chest contains a Thunder tome. Nyna or Boah can use this. Middle chest contains Power Ring. South chest contains an Armourslayer. Midia can use this when dismounted. 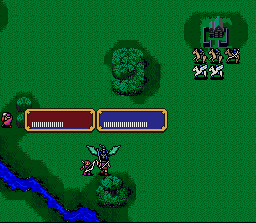 Reinforcements (2 Knights, 1 Archer and 1 Mage) occasionally appear from the north after Gubel is defeated. Princess Minerva discovers deserters of her Macedonian army have been attacking villages near Aurelis. Although Hardin is her enemy, she joins forces with him to defeat the deserters. Frost joins after 30 minutes of gameplay. Many days have passed since Archanea’s palace was invaded. Rickard and Lena, along with Navarre and Castor, sneak into the palace to steal treasures to aid the poor, and perhaps themselves as well. Dice and Malice join after 16 minutes of gameplay. Two years have passed since Archanea fell. Nyna is currently under the protection of the Grustian Sable Knights, led by Camus. However she is endlessly pursued by Medeus’s forces. Camus decides the best option is to head for Aurelis, in hope that Prince Hardin will offer her protection.